The double bar safety gates provides fall protection for ladderway and platform edge openings. They should be used on all levels above ground. The Safety Gate has been tested to withstand a load of 100kg in both vertical and horizontal direction* in accordance and exceeding with mechanical requirements of EN ISO 14122-3. 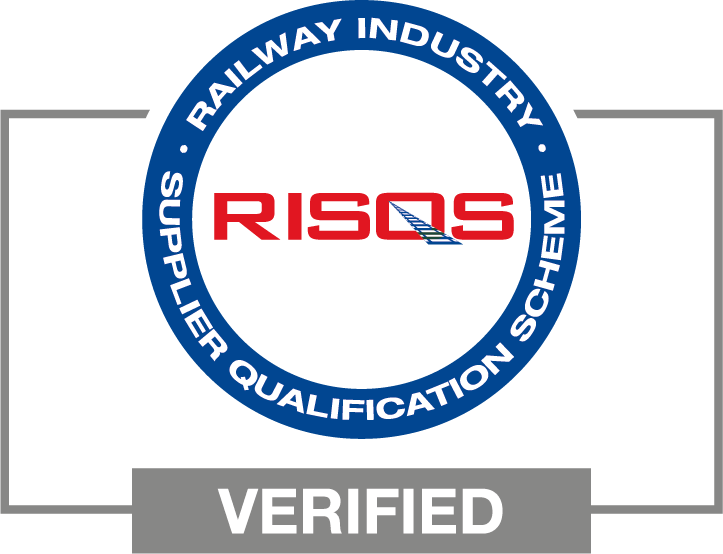 The Safety Gate has excellent outdoor weather resistance and is also resistant to most common chemicals. Chemical resistance is dependent on factors such as concentration, temperature etc. For installation in hostile environments, please contact us for further details. Two standard lengths 94cm & 120cm. 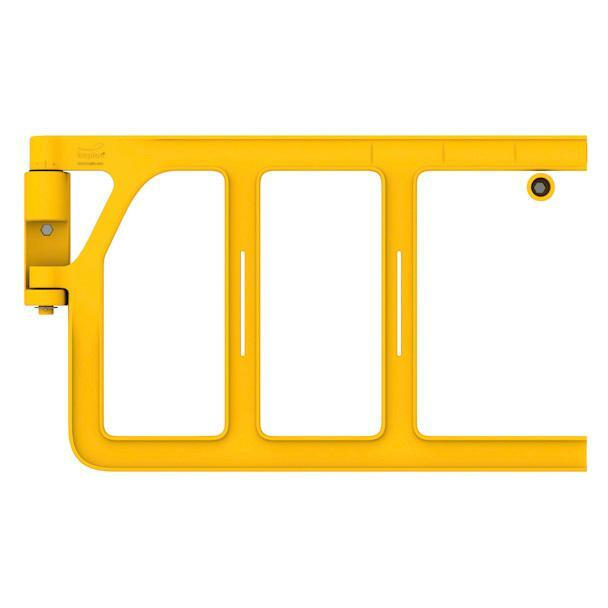 The Safety Gate provides fall protection for ladderway openings and platforms. 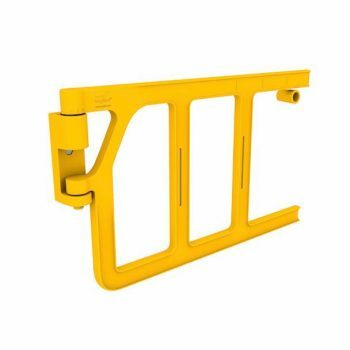 Safety Gates have a range of uses from fall protection for ladderway openings and platforms to simple barrier entry/exit points in ground level segregated pedestrian routes. They are designed to prevent people from inadvertently walking into an unsafe opening and ensure safety at access/egress points on working platforms. 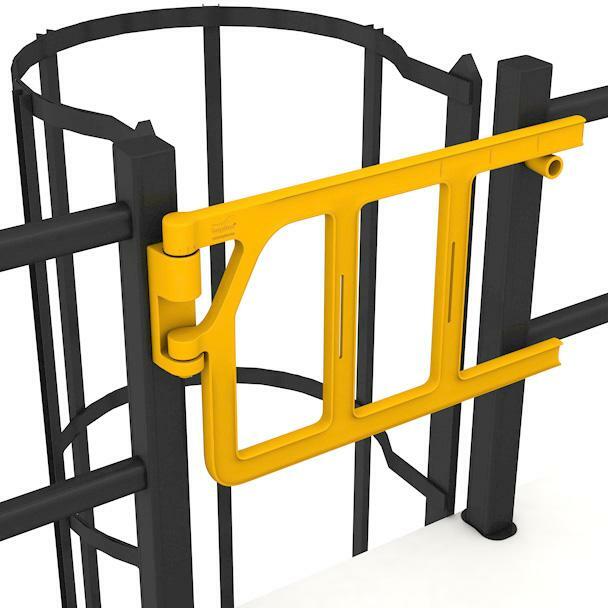 Designed as a simple, yet robust self-closing gate, they offer a low maintenance, long design life with 5 year (100,000 cycle) warranty. After opening, the gate will automatically swing back to the closed position. The design features of the gate allow it to be configured to either left or right opening, with an adjustable closing force. Installing a Safety Gate increases worker safety and reduces maintenance costs. Figures published by Eurostat have shown that over 15% of all labour accidents in Europe have been directly attributed to people falling from a platform or ladder.